Cranky Pressman ships letterpress projects to customers all over the USA. Shipping costs and timing vary depending on the size and weight of the job as well as the destination. However, because we are working our butts off here and do a lot of shipping, we get good rates from our shipping suppliers. Their prices are reasonable to all locations and we keep our rates as low as possible for all customers. 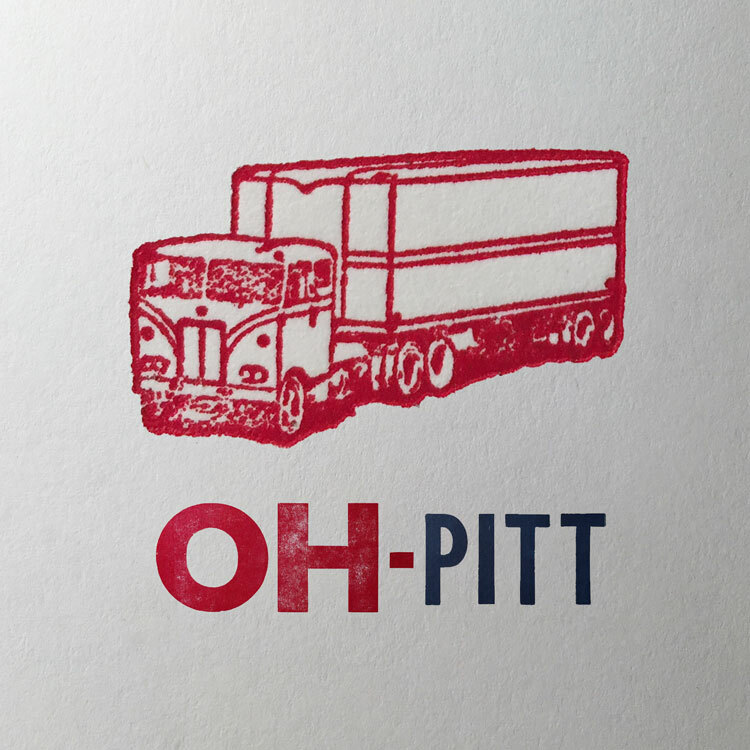 Cranky is very happy to offer free ground shipping on custom letterpress printed jobs to customers throughout Ohio. In fact, we are feeling so charitable, we also give free ground shipping of printing to our good neighbors in Pittsburgh, Pennsylvania. To add to the giddiness, Ground Shipping usually arrives the next day to addresses in Ohio and Pittsburgh. Delivering letterpress goodness to all destinations. Most items we print, such as letterpress business cards, are smallish in size so the carton dimensions and weights ship at small package rates. Ground shipping these days is also faster than you imagine. Packages to most of the eastern US arrive in 2 or 3 days and the west coast usually takes 4 days or less from our shop in Ohio. Normally, shipping costs are additional and not included in printing quotes. If requested, an estimate of shipping costs can be included in your printing quotation. Shipping projects under $1,000 will be itemized on the initial invoice you receive. When larger jobs are completed, packed and weighed we will add the itemized shipping to the final invoice. Rightly so, some people are very excited to get their printing. If requested we can use expedited shipping, 2-Day, Next-Day or Overnight, at additional cost. When urgent, please let us know your required delivery date up front so we can use the method of expedited shipping that is the least expensive. If preferred, we can use your shipping account number instead of ours (FedEx or UPS). International shipping can be arranged depending on the project. International customers are responsible for all taxes or duty fees. Please contact us about jobs which require shipping out of the United States to discuss options and shipping costs.